Many times when we post a photo of beautiful butterfly or bird on social media we are asked when and where did you see it. Many a times this is taken very casually but this questions are very important. Here is why? When you post these photographs, they may automatically become in a crude sense biodiversity occurrence record (Barve, 2014). Though this is not ideal method to post a record, since we are doing it anyway, why not make it complete. First of all, let us understand what the person is behind by asking these questions. When or Date will tell the seasonality of your record. Sometimes Birds or Insects migrate or have seasonal color forms. Where is trying to understand the locality and habitat with full bearing of geography. This will help us understand the distribution of the species, or sometimes decide which sub species etc. These should be answered is specify complete date. i.e. 2017-10-27 rather than ‘Today’, ‘Last Week’, ‘Oct 2017’ etc. Even for old photographs, in digital age, we have dates associated to the files. And for location, Village/Town, District, State and Country. Country may be dropped on groups / forums specific to a country or region. More about the biodiversity portals coming soon. Meet cost per person: Rs. 18,000/-. Special rate of Rs 16,000/- for students based on production of valid ID. Limited seats for students. Areas being visited: Balpakram National Park, Siju Wildlife Sanctuary, Baghmara and Rewak Reserved Forest. Specialties: Currently recorded 350 species of butterflies and 448 species of moths. Organised by: DiversityIndia, Indian Foundation for Butterflies, Titli Trust and NatureMates supported by Siju Ecotourism and Conservation Society (SECOS) and Karawani Ecotourism and Conservation Society (KECOS). • Focused on butterfly watching during the day, moth watching during the night. • Theory sessions on butterfly and moth identification. • Sessions on butterfly and moth data recording through BOI/MOI websites. • Visit to Siju Caves. • Presentation by local community conservation organisations, SECOS/KECOS. • Meet being led by Sanjay Sondhi, Titli Trust. -Accommodation on twin sharing basis. -Three vegetarian meals and tea per day. -Pick up and drop off at Guwahati (Non-AC sumo). -Transfers to camp sites and field visits. -Community fee, park entry fee and cave entry fee. - Food during the drive from Guwahati to Baghmara & return to Guwahati. - Camera charges at Balpakram National Park. Accommodation at the Siju Tourist lodge will be on twin sharing basis, consisting of mix of tents and cottages. Siju Tourist lodge has electricity facilities for charging cameras batteries only. Accommodation at Karwani will be at home-stay/guest houses on twin sharing basis (with Indian commode). The accommodation at Balpakram National Park Forest IB/FRH on twin sharing basis. Be prepared to rough it out! Three meals will be providing you during your entire trip- breakfast, lunch and dinner and morning and evening tea. Packaged lunch in the field, wherever necessary. Meal timing: Meal timing on all days (tentative). Morning tea: 6:00 am, Breakfast: 6:30 am. Lunch: 1:00 pm (packed lunch, if in the field). Evening tea: 4:00 pm and Dinner: 7:00 pm. A 50% advance payment for booking your place and the balance 50% to be paid one month before the actual meet. A 15% of the total cost will be deducted if you cancel your visit after making payment. 100% refund will be made if the organizers cancel the tour on account of unforeseeable reasons. 15 October 2017 (Sunday): Depart from Guwahati by noontime. Proceed to Baghmara via Siju. Night halt at Karwani. 8 hour drive. Pick up at Guwahati airport. 16 October 2017 (Monday): Butterfly watching at Karawani stream of Baghmara Reserve Forest. Night stay at Karwani. Moth watching in the night at Karwani. 17 October 2017 (Tuesday): Butterfly watching at Panda or Halwa Ambeng. Night halt at Balpakram National Park. Moth watching in the night at BNP. 18 October 2017 (Wednesday): Butterfly watching at Moheshkola stream. Night halt at Balpakram National Park. Moth watching in the night at BNP. 19 October 2017 (Thursday): Butterfly watching at Balpakram National Park. Proceed to Siju Wildlife Sanctuary by 1:00 PM. Night halt at Siju. 20 October 2017 (Friday): Butterfly watching at Siju WLS. Visit to Siju Cave. Moth watching in the night. Night halt at Siju. 21 October 2017 (Saturday). Butterfly watching at Rewak RF and Siju WLS. Moth watching in the night. Night halt at Siju. 22 October 2017 (Sunday Butterfly watching at Rewak RF. Proceed to Guwahati after lunch at 12 AM. Arrive at Guwahati by 8 pm. Note this page is going to change frequently over next few weeks. So keep visitng frequently. We plan to visit ZSI Spider collection, do some field work, presentations in the evening and plenty of time for networking with fellow Spider enthusiasts. Program Starts at 9.00am on 17th February 2017 and will be finished by 6.30pm on 19th February 2017. Day 01 Starts at 9.00am ZSI Visit : Evening presentation. This is a tentative plan. May change. But starting and finishing time will remain same. All presentations and workshops at NM office, Bijoygarh. This meet is organized on non profit basis and expected expenses including stay, simple food, local travel and park entry fees is going to be Rs. 4000/- (2500.00 for participants who are having own arrangements for stay at Kolkata.) Please register by paying Rs. 3000/2000 as advance, remaining payment (Rs.1000/500) at the time of meet. A limited number of scholarships are available for students. This is an event of DiversityIndia and organized by Nature-Mates Nature Club, Kolkata. 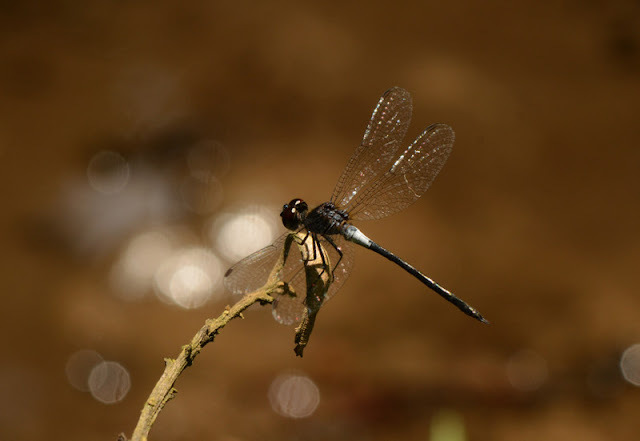 The third DragonflyIndia meet was held from 26th August to 29th August, 2016 at Gorumara National Park, West Bengal. The scientific gathering already started in Kolkata as the participants arrived there before the meet. Total 23 participants from 8 different states and one from Sri Lanka participated in the meet. The meet initiated with an introductory session of the participants, followed by several oral presentations, workshops and field visits. The four days meet featured two plenary talks about general Odonata taxonomy, biogeography and distribution in West Bengal; two complete workshop on Preservation and Identification of Odonata Specimens and Outreach for Odonates; four participants’ presentations about cytogenetics and behavioural biology of damselflies and one guest lecture on Past, Present and Future of Odonatology in Sri Lanka. Special discussions about larval studies, field identification and photography were everydays' routine programme. 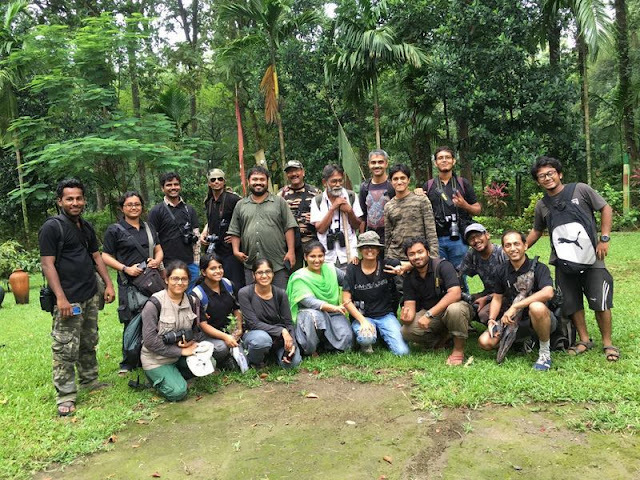 Most important part of the meet was the regular field visits to different habitats of Gorumara National Park and a Mid-meet field visit to Samsing, Neora Valley National Park which resulted in listing of total 66 species of odonates, more than 115 species of butterflies, 90 species of birds and many more faunal groups. 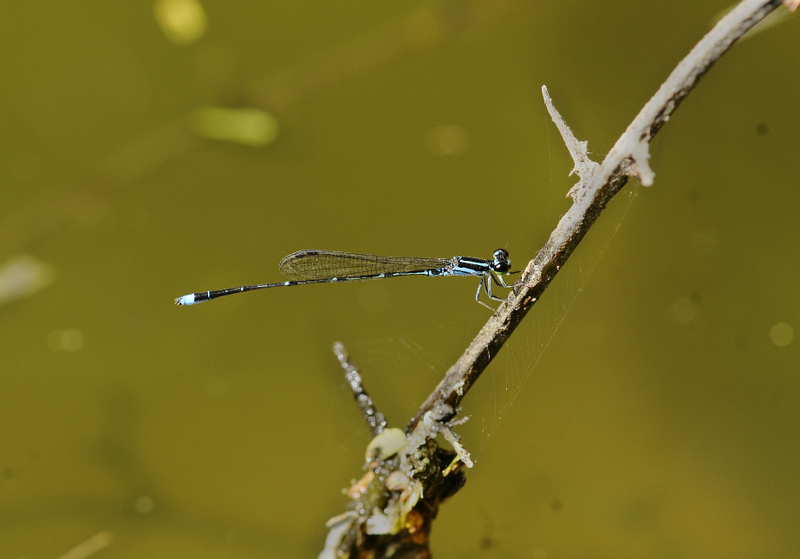 The recorded odonates during the meet include Coeliccia c.f. 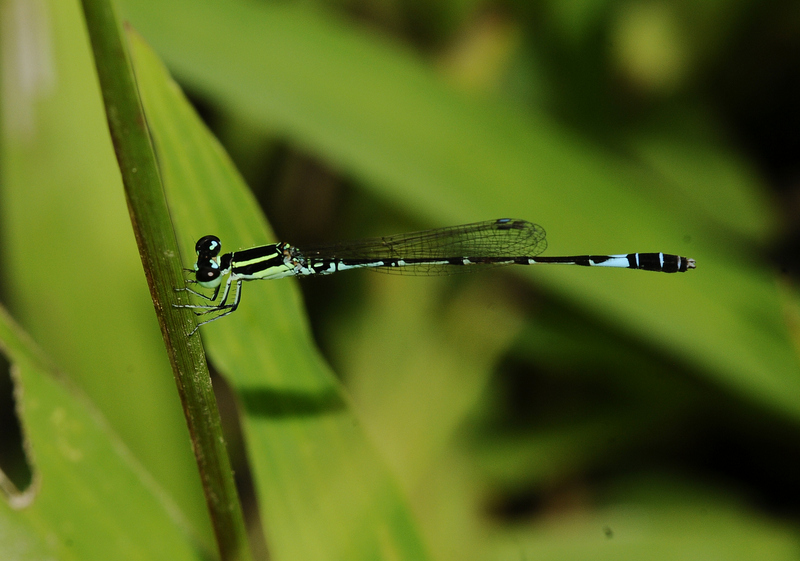 renifera which is new state record for West Bengal and few more rare species such as Agrionoptera insignis, Amphithemis vacillans, Coeliccia bimaculata etc. The four days meet was quite successful with a pleasant sunny weather throughout except the morning in Samsing that was visited by a sudden break of heavy rain. 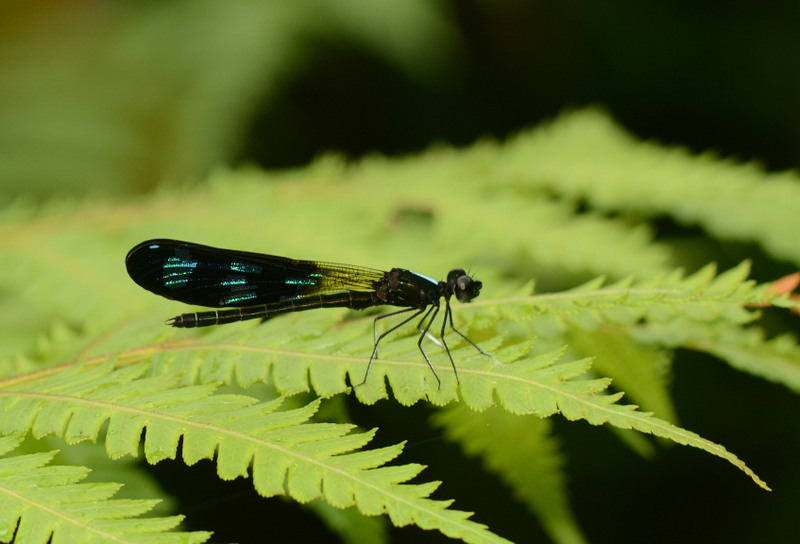 With four colourful days the meet ended up in a successful gathering of odonate enthusiasts. On behalf of the organizing committee I convey our heartiest greetings for the participants for their cooperation and patience. I want to congratulate all my seniors and friends from DiversityIndia and Nature Mates-Nature Club, Kolkata for such a successful event. 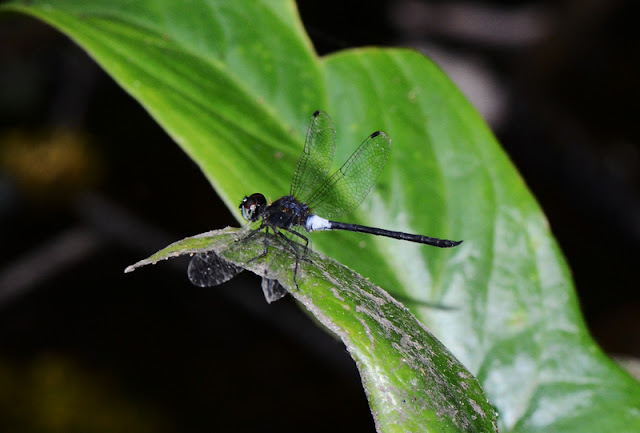 Thanks are also due to the International Dragonfly Fund and Worldwide Dragonfly Association for their every support. We will look forward for the next meet to be more successful and fruitful. The meet was great success. Here is the report. Place: Murti, Gorumara National Park, Jalpaiguri, West Bengal. Dates: 26th to 29th August, 2016 (4D/3N). Registration fee: 2500/- per person including food, stay and local transport (ex New Mal Junction). Small bursaries are available for student participants on first come first serve basis. We are happy to invite you in the third DragonflyIndia Meet in northern part of Bengal. Gorumara National park, situated in the Indo-malayan ecozone consists Terai-Duars savanna and grasslands of the tropical and subtropical grasslands, savannas, and shrub-lands biome and Lower Gangetic plains moist deciduous forests of the tropical and subtropical moist broad-leaf forests biome covering an area of about 80 sq. Km. Primarily famous for housing a good population of Indian one horned Rhinoceros, this park also hosts several interesting species of plants, insects, amphibians, reptiles, birds and mammals. Some of them includes Painted frog, Tokay Gecko, King Cobra, Indian Peafowl, Pied Hornbills, Leopards, Gaur, Elephants and many more. 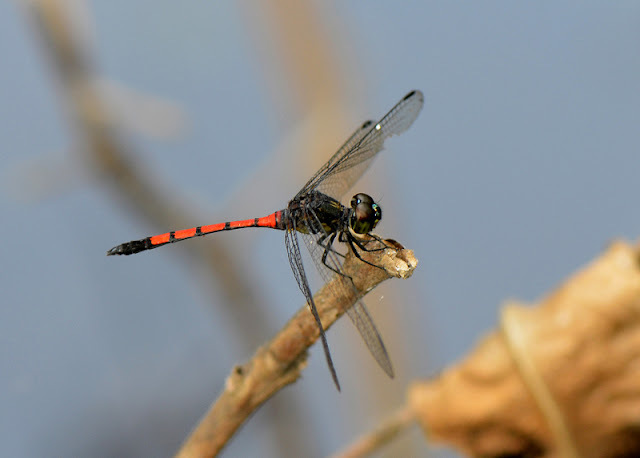 During the meet we will get a chance to explore the area in search of the flying jewels, Dragonflies and Damselflies. Daytrips to several water bodies and rivers and forest will reveal some interesting findings to us for sure. A daylong trip to Samsing, outskirts of Neora Valley National Park, will take us to the Eastern Himalayan foothills as well. The meet will feature field identification guidance and workshop by renowned odonatologists Parag Rangnekar and David Raju, data collection methods and ecological studies of odonates by Pankaj Koparde and several other talks and student presentations. 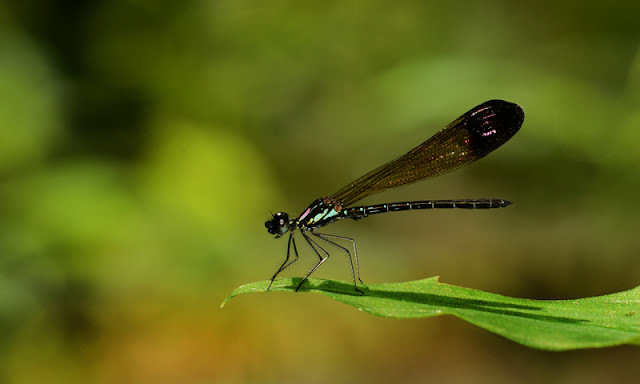 This time DiversityIndia is going to work shoulder to shoulder with Nature mates – Nature Club, Kolkata and the West Bengal Forest Department to organize the meet with a great success and International Dragonfly Fund is encouraging us with a partial financial support. The meet will definitely be exciting for all the nature lovers because not only odonates but varieties of butterflies and birds are also there to catch your eyes. 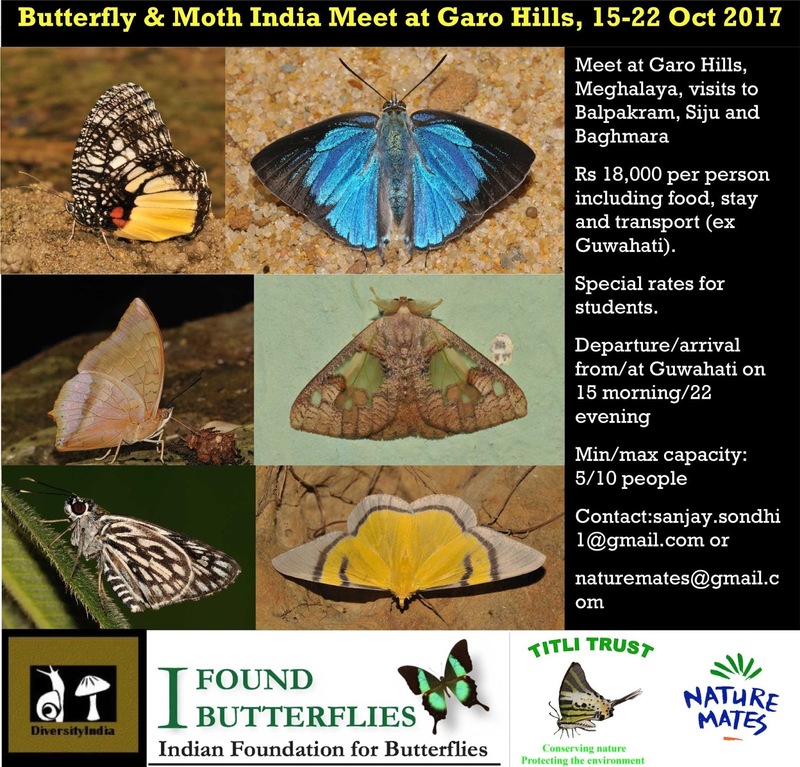 We propose to organize a DiversityIndia meet to learn and document biodiversity of Devalsari region with special focus on Moths and Butterflies. We will set Moth Screens every night to attract moths and nature trails to document Butterflies and other biodiversity during daytime. Sanjay Sondhi a moth expert, who has done extensive research in the region will be conducting training on moth identification. The main focus is going to be systematic documentation of biodiversity, especially Moths and Butterflies. Devalsari, tucked away in the Aglar Valley, in Tehri Garhwal District, the home of the Jaunpuri's. The snow-capped peaks of the Mahabharat range in the Middle Himalayas, looming in the distance, marvelous deodar, oak and rhododendron forest, surrounded by terrace fields of Bangsil, Mauldhar, Udarsu and Naogaon villages. The Pali Gad stream flows through Bangsil into the Aglar River, winding its way through a forest landscape with altitudes varying from 1,200 m at Thatyur up to 3,048 m at Nag Tibba, the highest peak in the area. The Shiva Temple at Devalsari, is said to have been built in the 1800's, is surround by tall deodar trees. The local partner for this DiversityIndia meet is the Devalsari Environment Protection and Technology Development Society, a local youth group that is committed to promote nature-based livelihoods and promote nature conservation. More about them can be seen at www.devalsari.org. 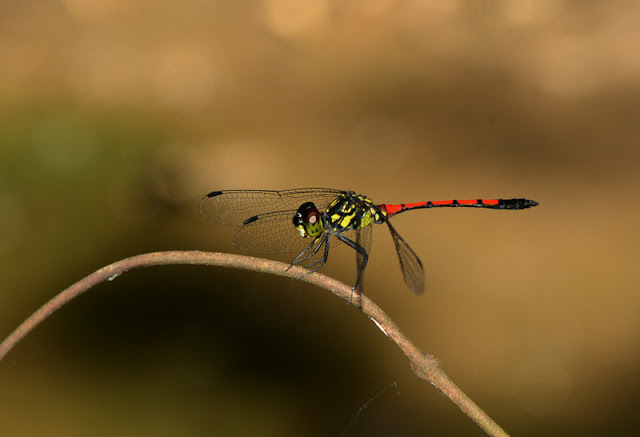 Devalsari is home to an array of biodiversity. Mammals: Leopard, Barking Deer, Giant Red Flying Squirrel, Himalayan Water Shrew, Goral, Wild Pig, Black Bear, Otters...all this and more can be seen here. Butterflies: Some of butterfly specialties are Common Punch, Siren, Brown Argus, Jewel Fivering, Stately Nawab, Western Courtier, Fawn Hairstreak, Silver Hairstreak and Albocerulean amongst many other West Himalayan Specialties. Contact Sanjay Sondhi (or Arjan Basuroy) for registration.